This is the "checkerboard-background" version of the 20th Expeditionary Bomb Squadron used by the B-52 guys out of Barksdale AFB, LA when they were deployed to Diego Garcia. This is the 1999 "CALCM SHOOTERS" patch for the 20th Expeditionary Bomb Squadron that flew operations out of RAF FAIRFORD. 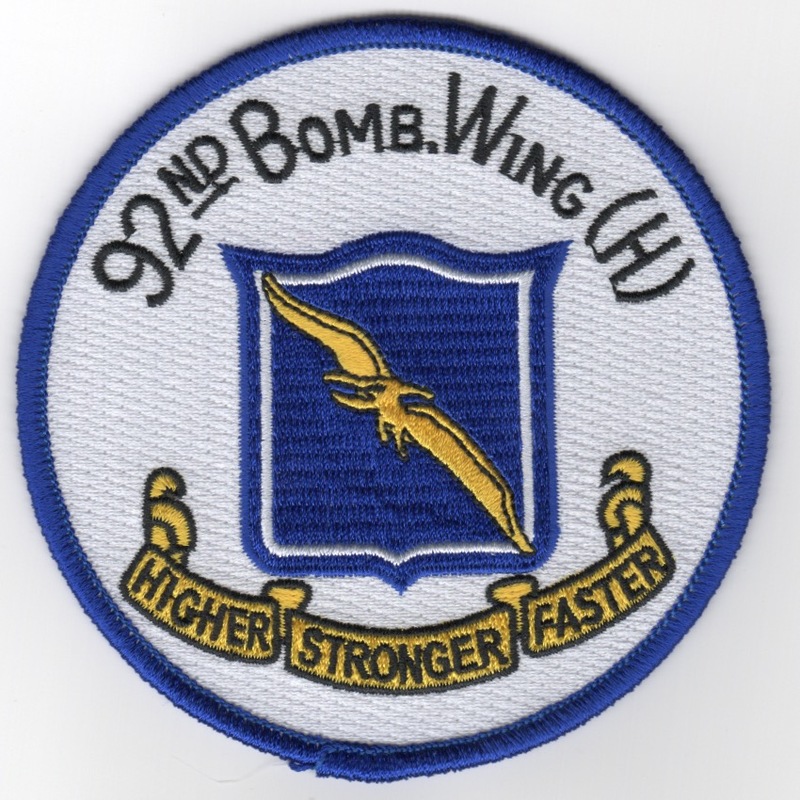 The 23d Bomb Squadron is a USAF unit, assigned to the 5th Bomb Wing. It is stationed at Minot Air Force Base, ND. The mission of the squadron is to fly the Boeing B-52H Stratofortress strategic bomber. The squadron stands ready to deploy and fly its B-52Hs to enforce national security policy by being ready to deliver overwhelming nuclear or conventional firepower to destroy targets, worldwide, at any time. The squadron is one of the oldest in the Air Force, dating to 16 June 1917, when it was organized at Kelly Field, Texas. It deployed to England as part of the American Expeditionary Forces, being engaged as an aircraft repair squadron during World War I. The squadron saw combat during World War II, and became part of the Strategic Air Command (SAC) during the Cold War. I found this patch in a Korean embroidery shop, has the 'theater-made' feel to it with a 'cut-edge' border, and does not have velcro attached. In 1969, the 22TASS didn't have any Night Operations in South Vietnam, so a squadron was created near Benturi, MeKong River (hope I spelled it correctly) to conduct night FAC Operations. I picked these up from the 13th pilot to arrive at this new squadron who had 3500+ hours in the BUFF, so I know they are authentic, and only a few dozen were made (I was able to get a few). They would conduct night bombing missions, SAR, etc etc....whatever mission was required. So one of the maintenance guys asked for a "squadron patch", of which this was created and painted on the side of a tent. Well, the tent was blown up and that artwork now hangs in his "man-cave". Was a fascinating story to hear. This patch does not have velcro on the back, and the design shows a "starlight" scope with Bat Wings and 2 Stars.....quite the collectible patch, as I've never seen this one before. Get them while they are here, as I said, I only have a few of them. This is the "Spirit of 9-11/Let's Roll" patch for the 93rd Bomb Squadron's "SCALP" Flight. They fly out of Barksdale AFB, LA and were deployed to Diego Garcia in the Indian Ocean in support of Operation Enduring Freedom. 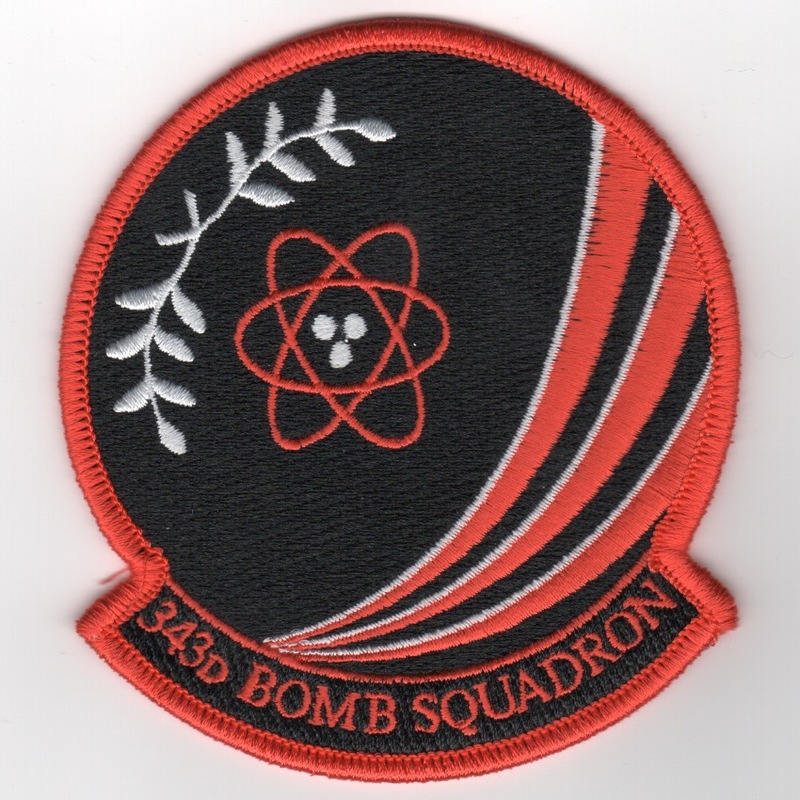 This is the round version of the squadron patch for the 93rd Bomb Squadron. The 93rd BS is a Reserve B-52 Squadron attached to the 917th WG at Barksdale AFB. 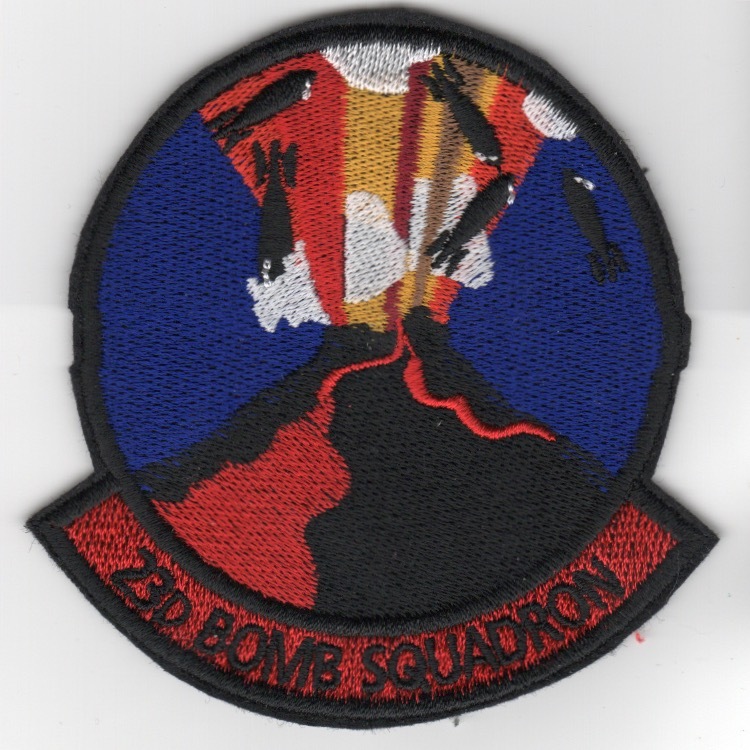 This is the version of the squadron patch for the 93rd Bomb Squadron that has one tab underneath with the lettering for the unit. The 93rd BS is a Reserve B-52 Squadron attached to the 917th WG at Barksdale AFB. The 307th Operations Group (349 OG) is an Air Reserve Component (ARC) of the United States Air Force. It is assigned to the 307th Bomb Wing, Air Force Reserve Command, stationed at Barksdale Air Force Base, Louisiana. 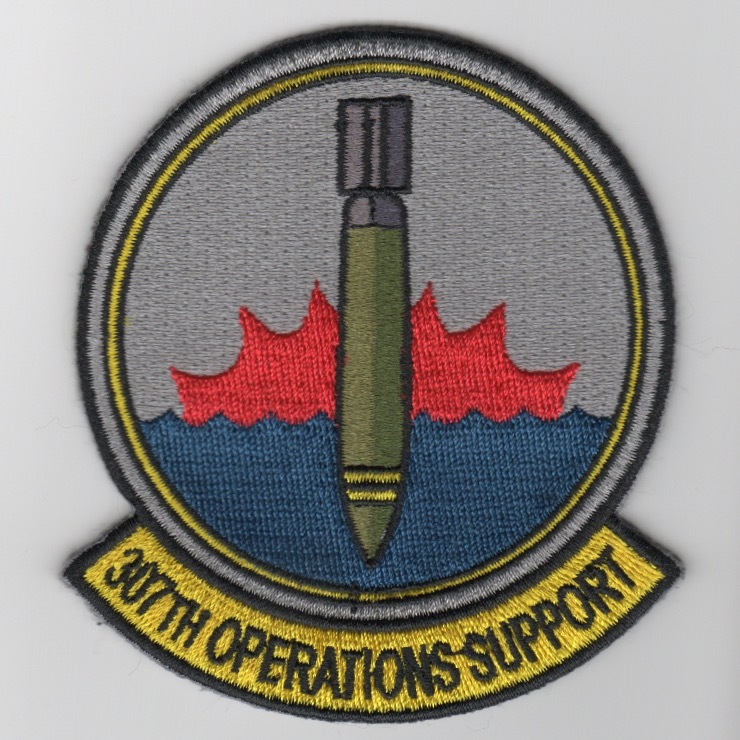 The 307th Operations Group was activated on 8 January 2011 with a mission of strategic nuclear deterrence and global strike. The Air Force Reserve wing is a B-52 Stratofortress unit whose mission is to train B-52 pilots in initial qualification. The B-52 combat mission is to employ the bomber in support of Air Force worldwide conventional commitments. 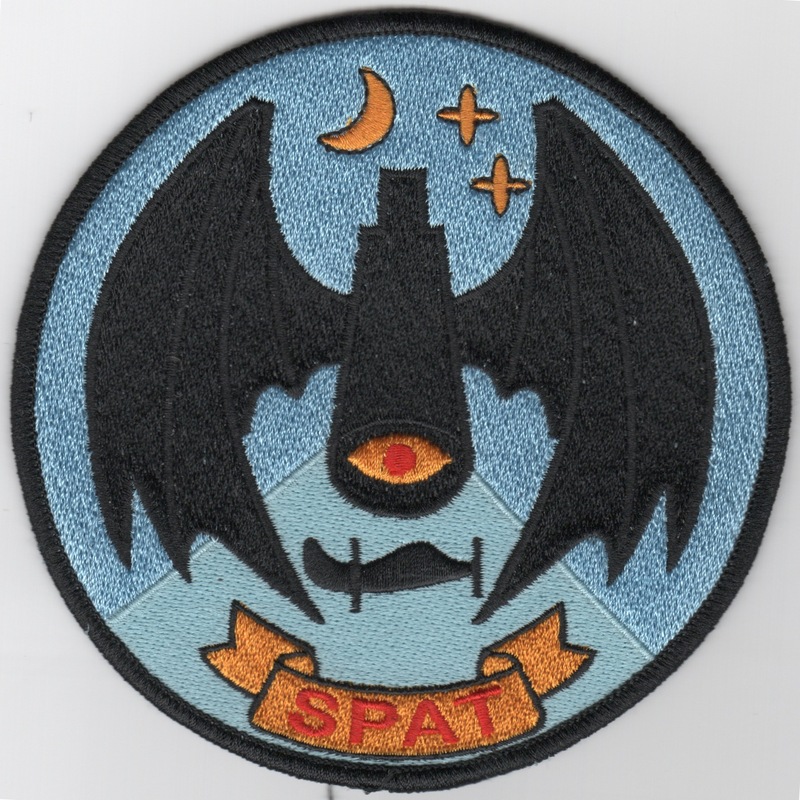 This is the squadron patch for the OSS and does not come with velcro attached. The 343d Bomb Squadron was a USAF Reserve squadron, assigned to the 307th Operations Group. It is stationed at Barksdale Air Force Base, Louisiana. The squadron was first activated during World War II as the 343d Bombardment Squadron and saw combat in the Mediterranean Theater of Operations, participating in the low level attack on oil refineries in Romania. It earned two Distinguished Unit Citations for its combat operations. After VE Day the squadron returned to the United States and trained with Boeing B-29 Superfortresses until inactivating in Spring 1946. The squadron was reactivated in 1947 with Superfortresses. During the Korean War, it deployed to Japan and earned another Distinguished Unit Citation for its combat operations. The squadron returned to the United States and converted to the Boeing B-47 Stratojet, which it flew until inactivating in 1966 when the B-47 was withdrawn from service and Lincoln Air Force Base closed. The squadron was reactivated in 2010 and flies the B-52 Stratofortress out of Barksdale AFB, LA. This patch does not come with velcro attached. Homepage | Order B-52 Squadron Patches!